This would be incredible. Doc on staff would mean we can recruit straight up gunners on offense bc his defensive coaching—particularly in transition—is as good as anyone in the country. We’d have a bunch of shooters become serviceable defenders. 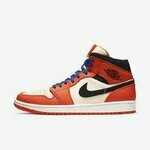 Great PR hire as well. And he wouldn’t really have to recruit with two recruiting monsters already on staff. Wow. Hope it happens. Doc was a great guy. I don't think the contract is signed yet. I will also still stick with my statement that Tim Miles will be back in the basketball building in a few years if things go as planned. There is a reason Mark Boehm was moved and Moos took over some things. Woohoo! come back Doc! Now I wish I still had my Doc's Crew shirt. Agin',I say agin', this ain't set in stone yet. Journal Star just posted we're looking at several possible candidates to fill our assistant positions, including Doc, Molinari, Armon Gates, and Marc Hsu from WKU. This is the first time I've heard Molinari's name floated. Makes sense if we're looking for a defensive minded coach. I'd prefer Doc but Mo would work. I know Hsu is considered to be a recruiter. Is he also considered a strong defensive coach? If not are we looking to carry a staff a 3 recruiters or would signing Hsu mean no Gates? Randomly, Hsu was an assistant at Birmingham when Dylan Talley was there. One thing that Doc did do well was game plan as well. I remember that we had some solid game plans back then. We just didn't have the horses to compete at times. My guess is it was Gates or Hsu and Sadler or Molinari. No other combination. Mo or Sadler would be awesome! I agree with the above post that I could see Miles back at some point in some role in the bball department. Going to toss Cip a curve and hang it over the plate. So it was premature to get excited about the statement that Gates was hired? Talking about if he needs to make a change, add a staff member, get a kid who is very admit-able (Emphasized this). If something happens with that individual, that's on him. "I don't need roadblocks...I need someone who is trying to get this program where it needs to go...and that could be the best thing that could come here of this coaching change"
I'm not asking to skirt rules or doing anything illegal...allow me to run my program and don't put any road blocks in the way. So I see we have a guy coming to campus this Saturday with a pending court case. Maybe he comes here or maybe he doesn't. Does he even get on campus if Marc Boehm is still involved with oversight? Does he even get on campus if Tim Miles is still the head coach? lol I didn't get that far yet. The last two hours of the show are worth listening to. Got my "Doctor is N' one somewhere. I think I have a "Someone call the Doc-tor" shirt deep down in the drawers somewhere. Well, a lot of us will find out just how fat we got the last few years if Doc comes back. I still got the ol' pull the shirt over my knees to stretch it out a bit trick. Hsu was also rumored to be someone the St. John's staff was looking at before Mullin was bough out. I wonder if the change there put things up in the air. Also Hsu recently started following the St John's AD on twitter. Who knows. This would be very cool. I loved Doc and man could his teams play D. One of my favorite Nebraska teams was the "smallest team in D1" team. 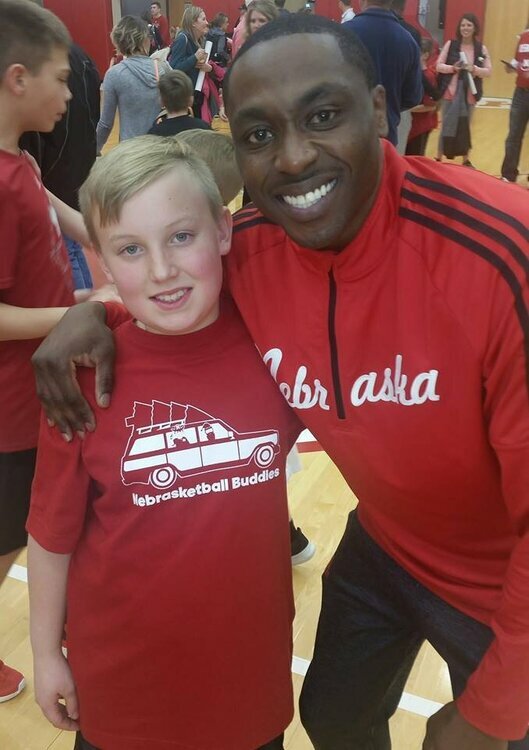 My 11 year old boy and I enjoyed conversing with Armon Gates at the Nebrasketball Buddies event. Gates was more than effusive in his praise for Lincoln, NE, and his Big Ten "way of life" compared to his brief time in the $EC -- glad A.G. is going to remain a part of Husker Hoops !! GBR !! !